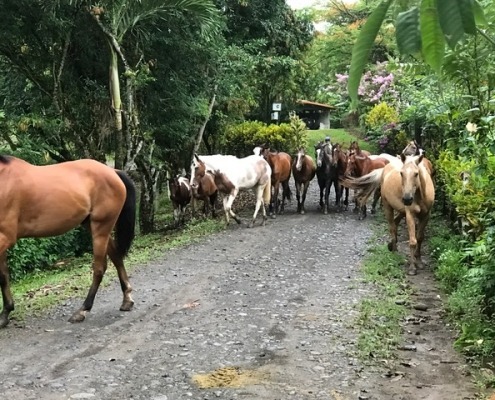 It’s 5am Tuesday, about 24 hours before you’ll be reading this because tomorrow, when I should be writing this newsletter, I’ll be on the plane – leaving Costa Rica and heading back to Massachusetts. Yesterday was a huge emotional day for me. So big! My book, Animal Lessons, launched and I’m feeling both the weight and excitement of this milestone in my life in so many different ways! First, I woke up feeling very vulnerable. It’s a big deal for me to put a work that is so close to my heart out to the world. Regardless of my past success, it’s still scary! Second, because this book is the crux of my work, I feel like my heart is completely exposed right now. 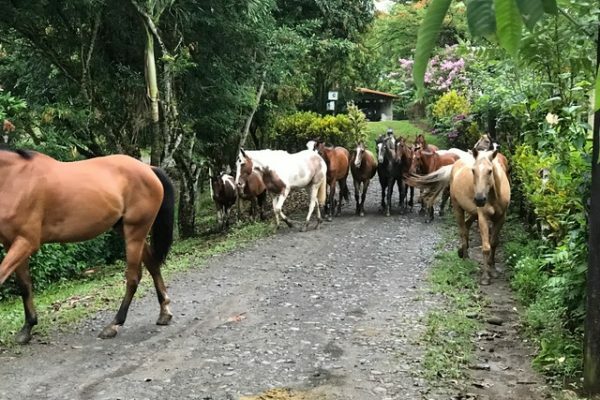 The concept of Animal Lessons, (or as some of you may know it by it’s more familiar name, Animal Soul Contracts), is the basis of the work we’ve been doing in Costa Rica, the foundation of what I teach in my school, and the point of what I do each and every day. So, yeah, vulnerable would be the word for the day! Third, most people assume that once the book comes out the work is over, but in today’s publishing market, that’s just not the case! The new phase of work is actually just beginning now that it’s time to promote! Obviously, being psychic, I’ve “looked” intuitively at my book to see how the world will receive it. I’m excited about what I see (but also impatient!) To me, it looks like Animal Lessons will build momentum through people (i.e., you here!) reading the book, sharing it with friends, and talking about it with others – and this will keep happening more and more until many, many people have learned how to deepen the relationship with the animal in their life. In other words, I believe Animal Lessons can create a shift in how people around the world, of many different backgrounds and beliefs, have the opportunity to view animals, their relationships with animals, and their own soul, too, in an unconditionally loving way. 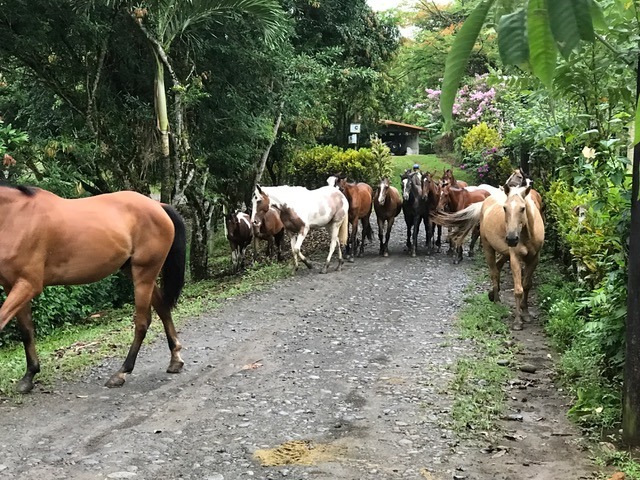 As I sit here on the porch of my villa, on this last morning of my time in Costa Rica, looking out at the Arenal volcano and waiting for the 29 horses to walk by on their way to the barn to start their day (see them in the photo above! ), I’m feeling filled with gratitude. From the top of my head down to my toes, I’m honored and grateful to be able to put this book out to you and to the world. I believe our human discovery and tapping into the unconditional love of animals is what this world needs. Right now. Thank you for all of your support and love! PS: I’m going back to Costa Rica in October. Want to come? 1 spot left! My Horse & Soul trip is almost sold out for October. This is your chance to do the Animal Lessons work on fast forward with the Horses of Leaves and Lizards, and me! Learn more Here! https://www.daniellemackinnon.com/wp-content/uploads/2017/05/CRhorses.jpg 480 640 Danielle MacKinnon https://www.daniellemackinnon.com/wp-content/uploads/2018/10/DM-Editable-Logo-new.png Danielle MacKinnon2017-05-10 08:00:392018-01-11 10:10:41Who's super sappy today?